If you have a smile that you wish could look better, be healthier and function properly, we would like to recommend restorative dentistry. Restorative dentistry procedures can repair many dental issues and restore your smile to be better looking, healthier and function as it should. If you have a tooth that is cracked, chipped, broken, has too much dental work, has a large cavity, or has other issues that are causing your problems, a dental crown is an excellent restorative dentistry procedure offered near Ocala and The Villages. A dental crown in Ocala is made from porcelain and is custom made to look and feel like a natural tooth in size, shape and color. A dental crown is sturdy, durable and long-lasting. 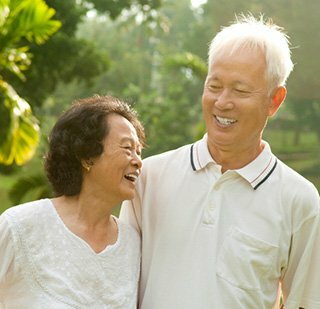 A dental crown in Marion County can be used on each side of a denture apparatus, can secure a dental bridge or can be placed on top of dental implants. A dental bridge bridges the gap in your smile with an apparatus that looks just like your natural teeth. Secured between a dental crown on each side, the dental bridge is secure and sturdy. You can eat and chew the foods you like when you have a dental bridge and a dental bridge requires no special care. 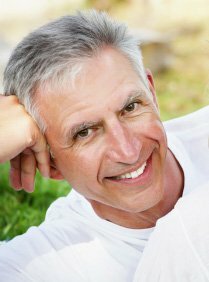 If you are missing one or more teeth, dental implants are an excellent restorative dentistry treatment. Dental implants are small titanium rods that are placed into your gums and jawbone. When healed, usually between 3-6 months, the implant, topped with a dental crown, is like a “new” tooth and tooth root. While some restorative dentistry procedures can also be considered cosmetic dentistry treatments, restorative dentistry procedures are used specifically to give you back a healthy, functional, natural-looking smile. Dr. Harper and his friendly, well-trained team are dedicated to giving you the smile you want and the oral health you need. Call us in Ocala today and we will partner with you to give you the smile you’ve always wanted if you are in Ocala and The Villages!